Here in MA, the snow hasn't quite cleared out, and temps have been cold, with this week's 50 degrees during the day feeling like a heatwave. 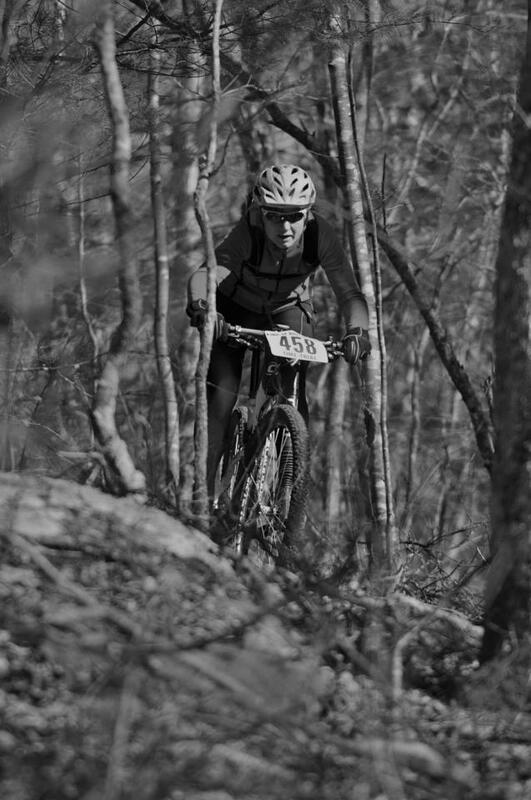 Despite Mother Nature (or perhaps, TO spite her), this past weekend was the first MTB race of the season already! Yikes! This promoter doesn't differentiate between Elite and Expert women, and at least 3 local pros showed up to race in our field. I knew this going in, and was resigned to it. There were also some women who had upgraded from last season that I didn't know, but as we shivered waiting for our start, we all socialized, lamented and laughed as we waited for it to be our turn to blast down the SNOW FREE trails. This is one of the things that I LOVE about racing in New England - at least in the women's fields, we all know one another and can be social, laughing, catching up on winter activities, and sharing stories before we get to the business of beating the cr*p out of each other. My turn came and having fun went out the window to be replaced with must not be last . 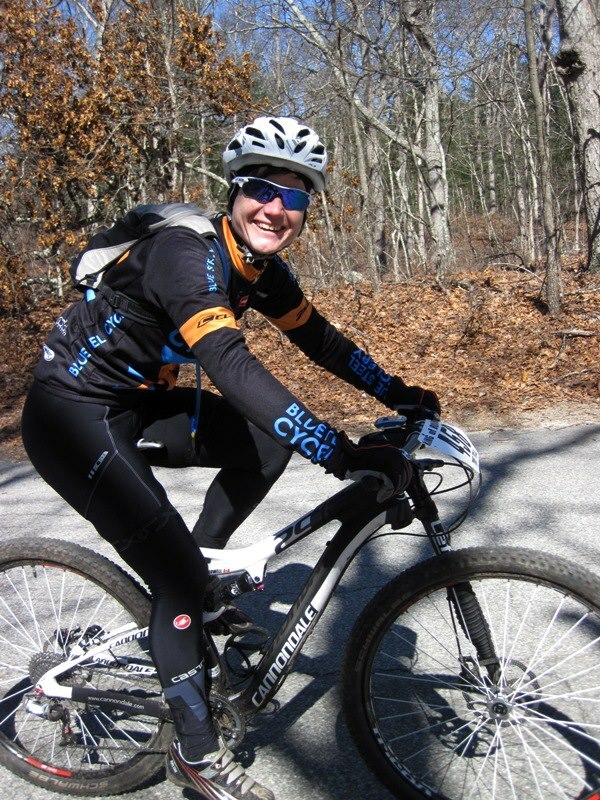 Crystal A had gone out 30 seconds ahead of me, and I knew I would never see her again. About halfway through the lap, however, I managed to catch and finally pass my one minute target. We shouted encouragement to each other, and I worked as hard as I could to put even more of a gap between us. I thought I had a good gap, too, but it turns out that Tracy finished not that far behind me! In the last two miles of the race, the trails became technical once again (there was a reprieve of some fairly fast double-track in the middle of the lap, although you did have to watch for fallen trees in the middle of the trail) - this time with the bridges. I hate bridges. So, I was pretty excited when I had ridden most all of them, and only had a mile left to go! Of course, then the most technical bridges reared their heads, and I was forced to run... So much for that! Seeing the finish, I buried my head and went as hard as I could, crossing the finish line "not last" and having had a BLAST riding in the dirt again (of note - I was also the oldest woman in our category!). It's only been two months since my final CX race, but now I'm looking forward to another fun season of racing in the dirt, with the next race coming up after Easter. 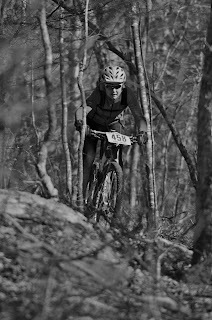 Mike and I changed after the race, looked at results (he finished a very strong 2nd OVERALL and won his age category), and then went out to do some more riding since we were able to ride with no snow, and had driven quite a way to the race. We were tired, and happy, when we pulled back into the parking lot. Yup - racing season may have just ended, but it has begun again anew!